Adding a Hyper-V host to SCVMM is pretty straight forward, I would only hope so, since they are both Microsoft products. 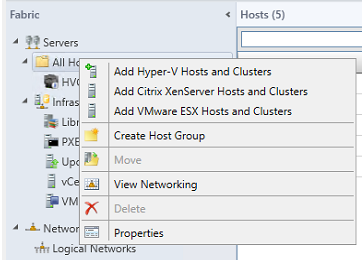 Well, as quick as it is to add a Hyper-V host, adding an ESX/vCenter is just as quick. 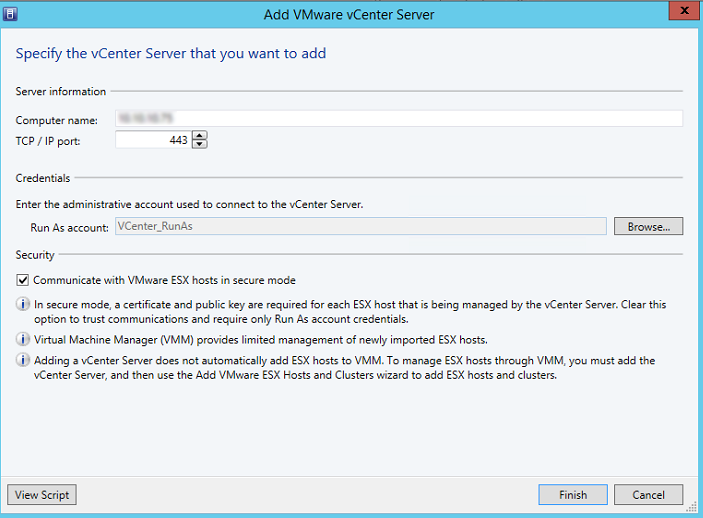 Here are the steps I took to add an ESX host and vCenter appliance to SCVMM 2012 R2. Some prerequisites, well, I am assuming you have already deployed an ESX/ESXi server which also has a vCenter appliance installed and configured with a static IP and hostname. In my lab, I have vCenter installed on the ESX host itself. I am also assuming your SCVMM and ESX/ESXi environment(s) are able to communicate with one another. If all went smoothly, your vCenter appliance/server should now be within the vCenter Servers view! If all went went, proper Run As account, etc. etc, then it should soon be visible within the Server > All Host view. Confirm by viewing the job for any errors/messages. 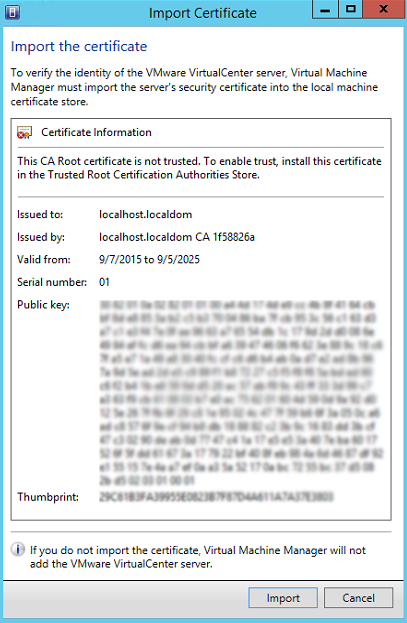 For more information, please refer to Microsoft’s TechNet KB.